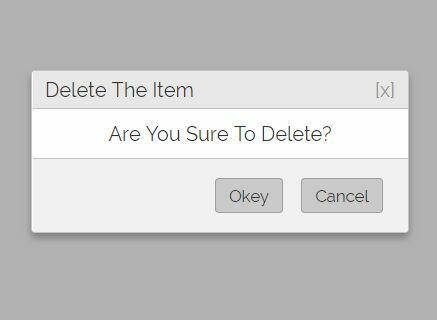 Dialog is an ultra-light jQuery plugin that allows to popups a draggable and closable modal dialog with amazing transitions on page load or on demand. 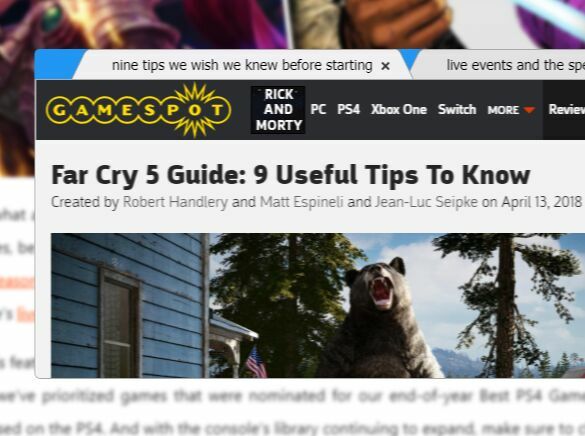 If you're looking for a simple way to display a popup window on your website, then this plugin is the answer. Dialog plugin works with all the modern browsers and it still downgrades gracefully. 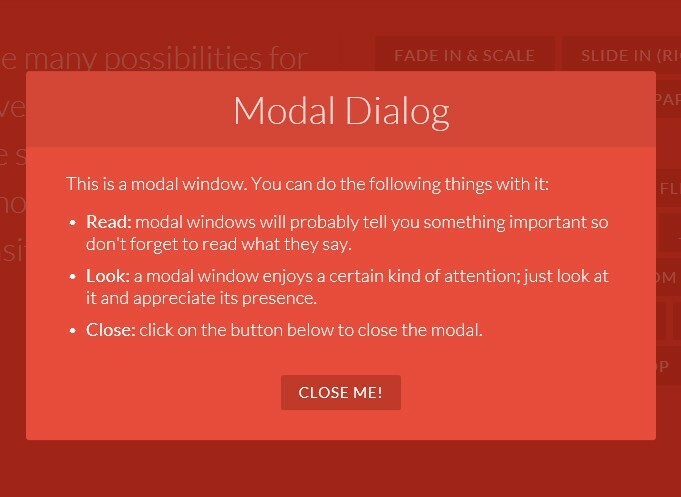 Custom title, content and height of your modal dialog. Automatically adjusts the height of the dialog based on the content. Allows to drag and drop the dialog window to anywhere within the viewport. Cool dialog open/close animations based on CSS3 transitions and transforms. 2. Include the required CSS stylesheet file in the head section of your page. 3. 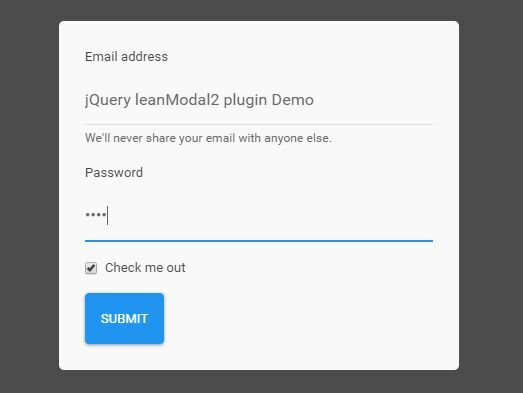 Initialize the plugin and create your own modal dialog. This awesome jQuery plugin is developed by jinzhe. For more Advanced Usages, please check the demo page or visit the official website.